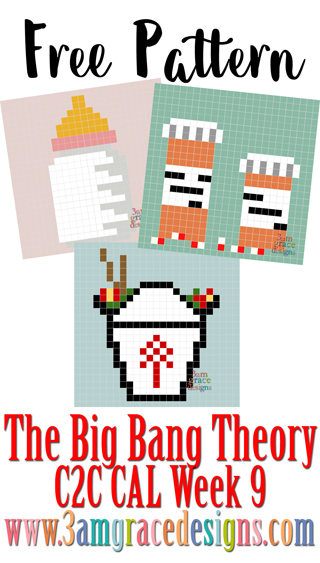 Welcome to Week Nine of our Big Bang Theory C2C CAL! Week Nine is for Bernadette Rostenkowski-Wolowitz – former waitress at the Cheesecake Factory; earned her Ph.D in Microbiology and now has a lucrative job at a pharmaceutical company. Go Bernie! Click HERE to download the Baby Bottle graph. Click HERE to download the Prescription Bottles graph. Click HERE to download the Take- Out Container graph.